Your kind understanding and support would be greatly appreciated. Your donation will be used for the following purposes. We sincerely thank you for supporting this fund. As a token of our appreciation, we have prepared the following benefits in recognition of our donors. * Donors who wish to remain anonymous are not listed. * A library card will be issued to non-Kyoto University members based on the Main Library's regulation on honorary librarian (Japanese only). * If the donor is a corporation, one library card will be issued to the representative of the corporation. * If the donor already has a library card with a different period of validity or different service privilege, the donor should choose which library card to be activated. Your donation is tax-deductible according to the Income Tax Law and the Corporation Tax Law of Japan. Donations to this fund can be made online with a credit card. Using your donation, then, how are the rare materials digitized? 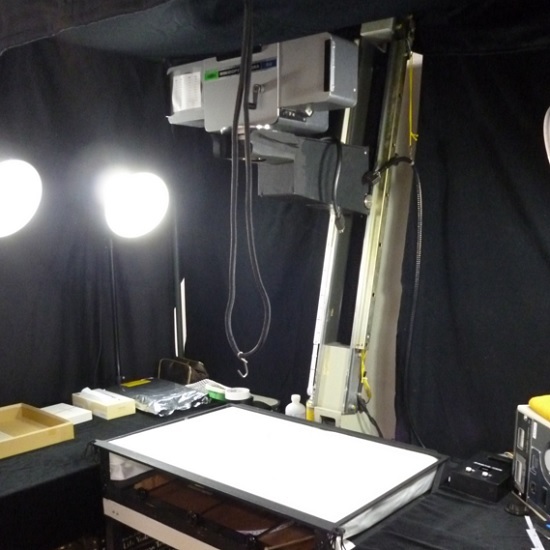 Here are the specific steps of the digitization and some of our rare collections to be digitized. The materials to be digitized are selected according to their importance and users' demand for them. The damaged part of the materials are restored or conserved in the most suitable ways. Digital photos are taken using suitable cameras or scanners. Large-sized materials may be separately scanned and the data are merged later. Metadata (titles, authors, physical descriptions and other bibliographic data) are created. The images and the metadata are ingested into the archive system open to the public. Tanimura Collection was formerly collected and owned by Ichitaro Tanimura (1871-1936), a prominent businessman who served as chairman of Fujimoto Bill Broker Bank, currently Daiwa Securities Group Inc. In addition to his achievement in the business world, Tanimura was also known for his love for collecting rare books and befriended researchers of Kyoto University. Since he called himself Shuson (秋村), each book in this collection is stamped in red that reads "Shuson iai (秋邨遺愛)". The collection mostly consists of Japanese and Chinese rare books, including manuscripts dating back as far as the Nara Period (the 8th Century) and a variety of editions of woodblock printings, such as Kasuga-ban, Koya-ban, Gozan-ban, Song Dynasty Edition and Ming Dynasty Edition. 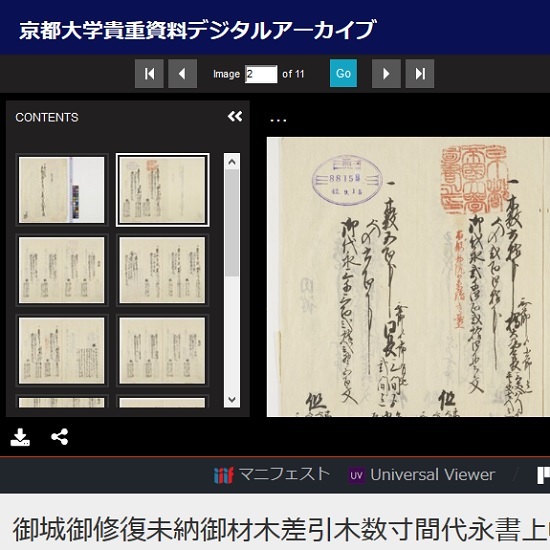 Among Japanese literature books in the collection, the materials passed down through the Inawashiro Family are well-known in the academic community. The Inawashiro Family was founded by Kensai Inawashiro (1452-1510) who compiled Shinsen Tsukuba-shu (New Selection of Renga Poetry of Tsukuba) and the generations from Kenjun (1487-?) to Kendo (the Meiji Period) served the Date Family of Sendai Domain as renga (linked verse poetry) instructors. These materials systematically collected by the family are valuable for the research in renga poetry. Nakai Collection consists of about 2,500 materials passed down through the Nakai family, Tokugawa Government's master carpenter family in Kyoto. In 2018, a memorial service was held at Choko-ji Temple (Shimogyo-ku, Kyoto) to commemorate the 400th anniversary of the death of Masakiyo Nakai (1565-1619), a master carpenter who led the construction of Nijo Castle, Kyoto Imperial Palace and others, and his portrait and grave were made open to the public on the day. 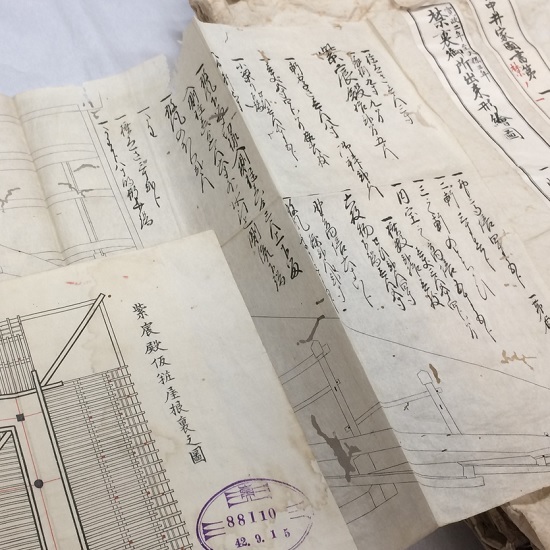 Sixty nine old maps and 249 materials related to Nijo Castle have already been digitized and made available in Kyoto University Rare Materials Digital Archive. 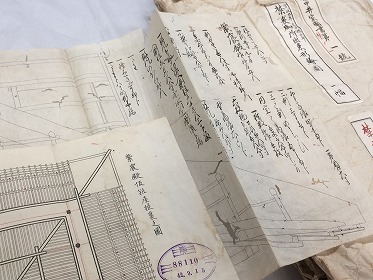 Interesting examples among them are the plans of Nijo Castle that show the changes in the arrangement of the rooms as a result of a large-scale remodeling from 1624 to prepare for Emperor Go-Mizunoo’s visit to the castle in 1626. 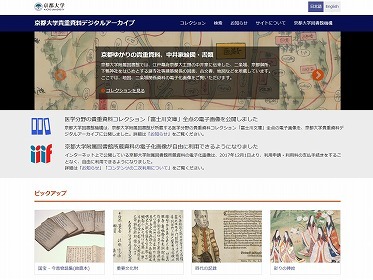 These make an indispensable resource for the research of Nijo Castle and the history of Kyoto. 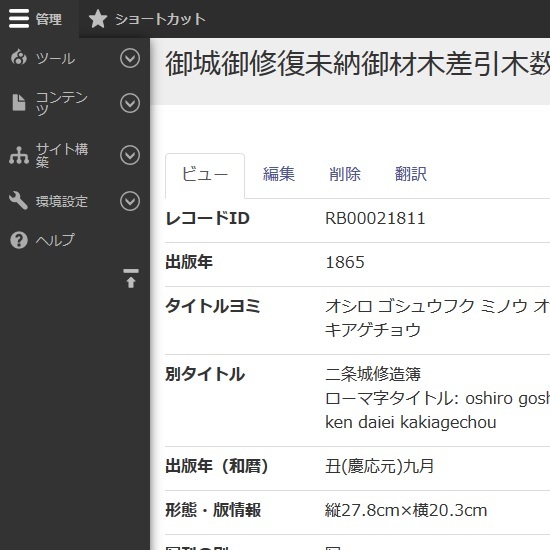 The other materials to be digitized include Kyoto Imperial Palace related-materials (plans of Shishin-den, Seiryo-den, Sento Gosho, etc. ), the materials related to temples and shrines in and around Kyoto, the plans of other architectures in Kyoto and the documents related to the Nakai Family - all intertwined with the history of Kyoto. Zokyo Shoin Collection was formerly held by a Kyoto-based publisher, Zokyo Shoin, and is an invaluable resource for the research of the compilation and publication of the Tripitaka, complete Buddhist canon. In Japan, the Tripitaka had long been copied by hand until the advent of printing. During the Edo Period, two woodblock editions, Tenkai-ban and Obaku-ban, were completely published, followed by the first metal type printing of the Tripitaka translated from Chinese into Japanese, Dainihon kotei daizokyo (Kokyo Shoin, 1881-1885), Nihon kotei daizokyo (Zokyo Shoin, 1902-1905) and Dainihon zoku zokyo (Zokyo Shoin, 1905-1912) in the Meiji Period. 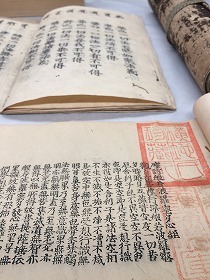 Zokyo Shoin Collection held by Kyoto University Library today consists of the Buddhist sutras and books used as original text for Dainihon zoku zokyo and Nihon daizokyo (Zokyo Shoin, 1914-1921), those collected for a planned but unrealized sequel to Nihon daizokyo and Shinshu-related documents. It includes a comprehensive collection of writings by the founders and priests of every Japanese Buddhist sect, many of which are without equal. 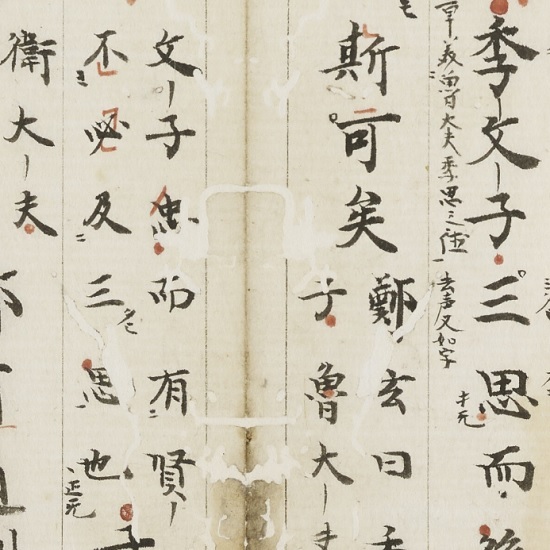 Moreover, the pages of the books in Zokyo Shoin Collection show the efforts made for the publication of the Tripitaka - the collation of a great amount of sutras and the repeated proofreading of drafts.